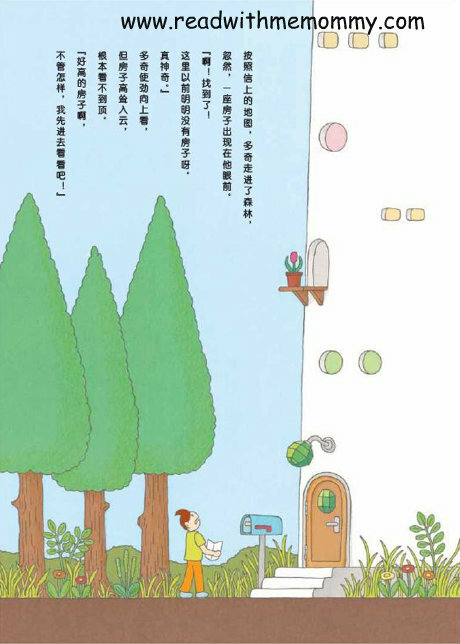 The House With 100-Storey was written in Japanese by Toshio Iwai in 2008. This is the chinese translated version. A book with very interesting and unique storyline. 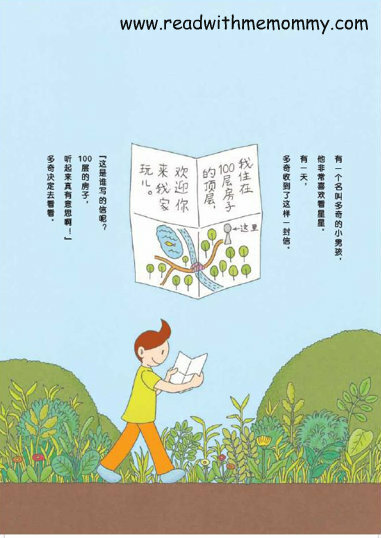 This is one of the storybooks recommended for supplementary reading by Ministry of Education, Chinese Department (Singapore) for lower Primary level. Qi received an invitation to visit someone at his residence on the 100th floor of a flat. 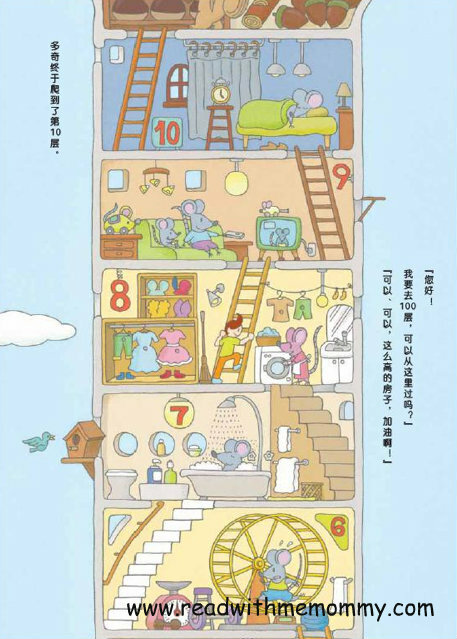 Along his way up, Qi soon realised that every 10 floor lives a different animal / insect. He came across various interesting characters - snakes, squirrels bees, spiders, etc. 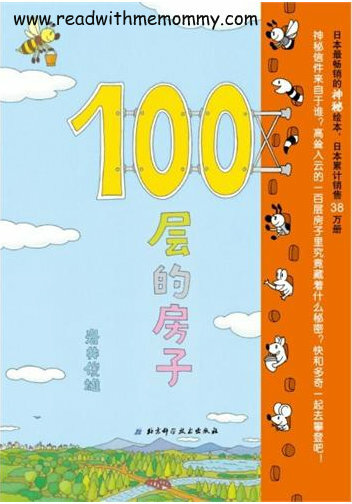 Read the book to find who invited Qi to his house located at the top of the 100th floor. This book is great to stimulate the imagination of your little one. While reading to your kid, let them appreciate the beautiful illustrations. This book can be used to introduce various animals/insects, as well as the daily activities of these animals. For example, from the 11th to the 20th floor lives the squirrel. 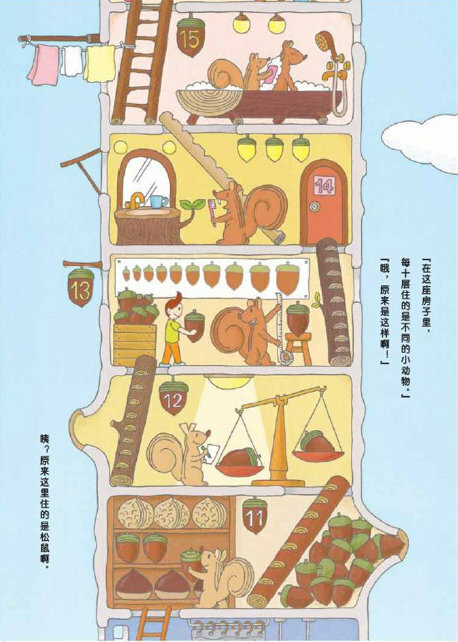 The illustration showed squirrels taking nuts from shelf (11th floor), weighing the nuts (12th floor), measuring the size of the nuts (13th floor), another squirrel brushing his teeth (14th floor), a squirrel taking his shower (15th floor), 2 squirrels playing on the swing (16th floor), etc. This book is in hard cover. Simplified chinese. For reading to your kid, this book is suitable for children of 2 up. For self-read, this book may be suitable for children of 6 and above. 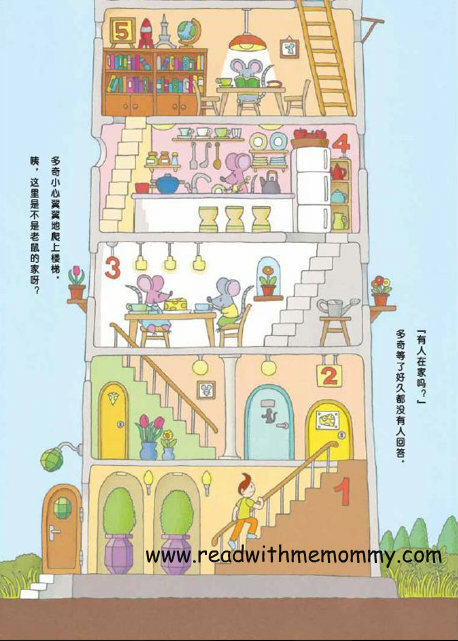 Due to the success of this book, the author subsequently wrote The House With 100 Basement Level 地下一百层的房子.